If you can measure it, you can manage it. Combining high-tech with positive impact. We can organize the different systems in your home or business to work together to provide effortless entertainment, comfort, convenience and peace of mind, making it easy to conserve precious resources like energy, water and time. The eMonitor brings, for the first time, an affordable solution for homeowners to monitor the energy use on every circuit of the home, giving them visibility to where energy is being used – and wasted – and the ability to take action. 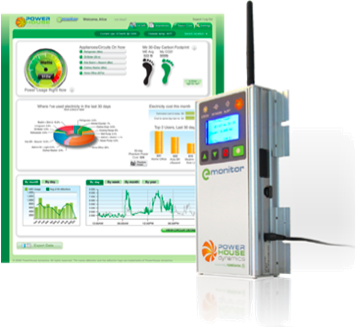 The eMonitor's unique combination of circuit- and appliance-level monitoring, continuous analytics and diagnostics, tailored recommendations, wide spectrum of safety, cost, and usage alerts, and easy-to-use web interface, puts the homeowner in total control of their electricity use. Provides you the ability to see how your actions impact your carbon footprint – and how you compare with others. Use The eMonitor on Your Terms Access the eMonitor through a personalized, fun easy to use internet dashboard, via email updates, text alerts, and 3rd party apps. Monitor Renewable Energy Monitor solar and wind production as part of a whole home energy profile & ensure the system is functioning properly. Monitor Appliance Performance & Health Continuous diagnostics helps avoid thousands of dollars in wasted energy and costly repairs by providing notice of hidden problems with your appliances. The eMonitor connects to the circuit breaker panel in the home with sensors that clamp around each circuit. In this way, all electricity uses in a home can be monitored. Check out more Energy Solutions below. In this issue of Home Smart Home our cover story lands us in Latin America, where we got a personal tour of the Mexico City condo that surprised judges in a coveted competition that’s all about interior design. It's truly as beautiful as it is smart. 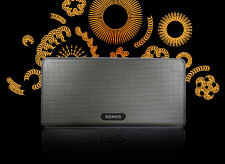 Sonos puts the control of all your music right where it should be — in your hands. With the touch of a finger you can find and play a world of music, whether it’s streaming direct from the Internet or stored on your computer. Ingeniously engineered inside one simple cabinet, Geneva Sound Systems provide everything you find in conventional stereo. The system above has a pair of full-range stereo speakers. There is a CD player, an FM radio, and external source inputs. What’s more: there’s an iPod/iPhone dock, stereo subwoofers, and a digital amplifier. This is especially true of energy – the only thing you buy that you don’t know the cost of until after you’ve used it, and have no idea what you used it for. Most customers are saving between 10% and 30% off of their electric bills.. That’s a pretty wide range – totally dependent on the quality of the information you receive, and the opportunities you are provided to do something about your usage.